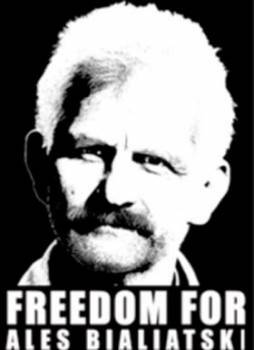 - Violation of the Right to liberty and security of person (Article 9 of the Covenant) by detaining A. Bialiatski during the preliminary investigation and the extension of his prosecution and criminal proceedings. The review by the UN Human Rights Committee of A. Bialiatski’s case, and a legal assessment of the claims of violations by this international regulatory agency is very significant for the entire Human Rights community of Belarus, since the outcome of the decision in this case should have a practical affect (both on the national, and international levels) on the status of members of the Belarus associations, deliberately pushed out of legal status and placed in the same precarious conditions as A. Bialiatski and his organization. By ratifying the Optional Protocol to the International Covenant on Civil and Political Rights in 1992, the Republic of Belarus acknowledged the authority of the Human Rights Committee to accept and hear petitions from individuals under it’s jurisdiction, who claim to be victims of violations by the particular member-state of any of the rights listed in the Covenant. In accordance with Article 61 of the Constitution of the Republic of Belarus “in accordance with international-rights laws, ratified by the Republic of Belarus, every individual has the right to petition the international organizations in order to guarantee their rights and freedoms, if all the means of defense of those rights on the national level have been exhausted.” Based on the principal of conscientiously fulfilling international agreements, enshrined in Article 26 of the Vienna Convention on the Law of Treaties (ratified by Belarus in 1986), the state is obligated to fulfill international agreements – like the International Covenant on Civil and Political Rights, and to cooperate with its regulatory agency – the Human Rights Committee – by carrying out its decisions. The Human Rights Committee, having officially agreed to consider the complaint filed on behalf of Ales Bialiatski, has submitted it to the government on 19 June 2012, which has to issue the necessary information or its objections regarding the facts listed in the complaint within six months, before the end of the year.